11:42 Style: My Christmas Wish - to find the perfect apartment pet! My Christmas Wish - to find the perfect apartment pet! I have been pet-less for about 8 months now and it feels so weird. I have always had pets as I am a definite animal lover but it can be hard to find a great pet for a 2nd floor apartment. 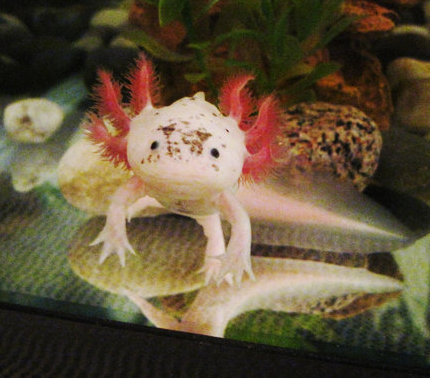 Axolotl's are my oldest son's first choice. They are pretty awesome looking and they can even convert to a land lizard although most spend their lives in the water. In the past we've had guinea pigs but we have never had hamsters. Guinea pigs are a bit too high maintenance to keep stink free, and they make a ton of poops. I'm hoping a hamster might be okay. They are adorable, especially when they are stuffing their faces! Degus are supposed to be very clean and have little smell since they take regular dust baths. They are social animals so it is recommended to have at least 2. They require a bigger cage than a hamster but they seem to have great personalities and can live 6-8 years. They seem to be very affectionate, and love being scratched under the chin. They look like little mice squirrels :). 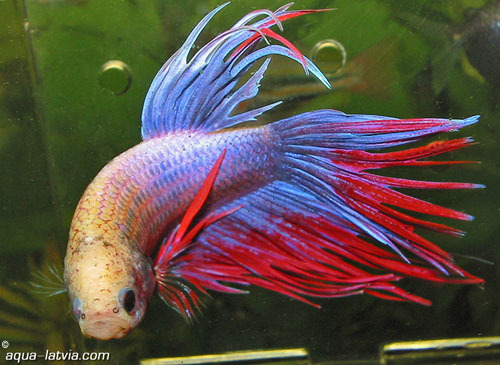 We inherited some beta fish from a party awhile back and really enjoyed them as pets. They are beautiful and are interested in people. One of ours even made a bubble nest which they make at the surface of their habitat when they are preparing for babies, really cool! To thrive betas require much more space than they are usually allowed. We had one in a 10 gallon tank and he was a happy little fella! The only downside to beta fish is that they must be the only fish in the tank. I read that beta fish naturally live in rice fields where there is acres upon acres of water to roam around so they have room to establish territory. They will harm each other if put in the same tank and will not be able to escape the attacks of the other fish. Goldfish are beautiful and majestic. It is calming to watch them swim around. I have never had goldfish before, other than one that I won from a carnival which didn't last long. I'd love to give them a try though and the minimalist tank set up above is just gorgeous! If anyone has any other suggestions I would love to hear them :).